Telefunken has long been a name synonymous with high-grade professional audio equipment. Dating back to the turn of the 20th century Telefunken was founded in Berlin, Germany in 1903 after patent disputes arose among two different German inventors resulting in the formation of Gesellschaft drahtlose Telegraphie System Telefunken ("The Company for Wireless Telegraphy Ltd."). During WWII they were one of the primary suppliers of military grade vaccum tubes to the German military as well as being the first to develop the two-stage hi-fi amplifier of which a version was used in the recording console for the Beatles on just about every album. In 2001 ,the rights to the Telefunken name and logo were acquired by an American company in order to restore and service vintage Telefunken microphones. As business grew this in turn led to the development of new Telefunken products known as the Diamond Series based on closely on the designs of the originals with price tags to match. Since these were out of reach to the average project studio Telefunken yet again created an entirely new lineup known as the R-F-T series. The R-F-T series takes all the design expertise and high quality engineering Telefunken is famous for but at a price point approachable to the project studio musician. 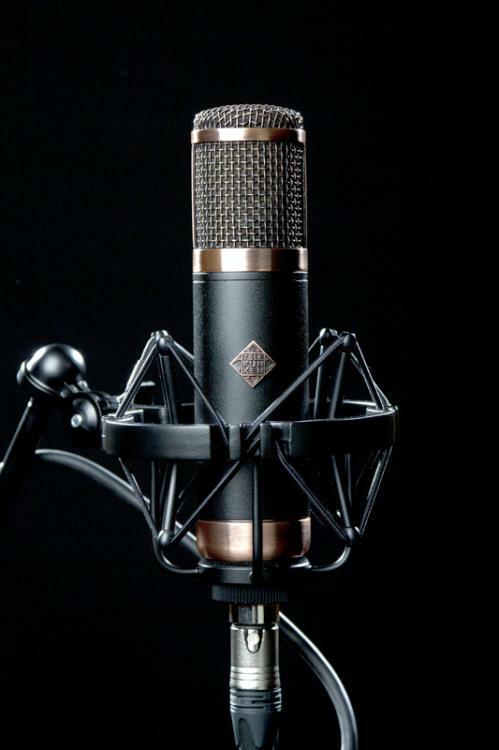 Which brings us to the Telefunken Elektroakustik CU-29 Copperhead: the newest entry in the R-F-T series. 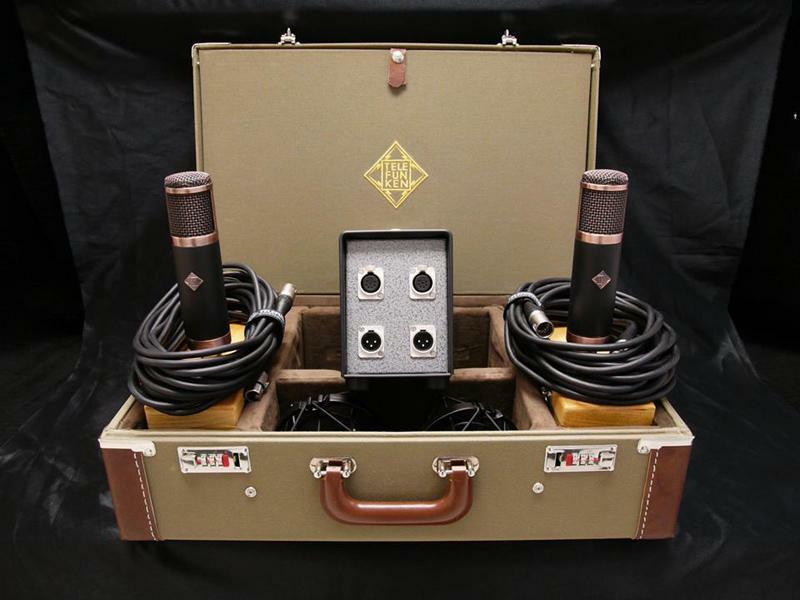 The CU-29 represents the least expensive offering in the Telefunken lineup. While not exactly a budget mic at a street price of $1295 its certainly a bargain compared to its bigger T-Funk brethren some of which retail well into the 5 figure category. According to Telefunken the Copperhead is not the result of cutting corners but instead consulting some of the best engineers in the business to design the electronics around high quality readily sourced components and NOS Telefunken tubes. T his results in a microphone that has the price point of a mass produced product but one that is high quality enough to wear the Telefunken badge. The cardioid Coppe rhead features a large-diaphragm single membrane gold-sputtered condenser capsule similar to the dual membrane version found in AR-51 and AK-47 MkII microphones. Both unlike the CU-29 offer multiple pickup patterns. Featuring a hand-selected NOS EF-95 tube the CU-29 has a maximum SPL of 138db and a relatively low noise floor of 16 dB (a-weighted). The Copperhead comes ready to go with its own external power supply and 7 pin XLR connector. Also included is a finished and lined wooden transport box which holds the mic but at this price point I would have liked to have seen a full carrying case that would fit the power supply, cabling and clip as well. On another minor gripe I found a power supply ground lift mysteriously absent that seems fairly common place on other studio mics costing several hundred dollars less than the CU-29. Since the CU-29 is aimed at project as well as professional studios it then fits that my tests were performed running straight into a Protools 8 MBox DAW with basic 2:1 signal compression. While a good preamp can make even a mediocre mic sound fairly good I wanted to utilize a complete bare-bones approach. After giving the CU-29 a 20 minute warm up period, I slapped on a pair of cans and brought the levels up. Initially I was bothered by a significant amount of line noise but this was remedied by wiggling the 7 pin connector in the base of the mic around. Although the cable was clipped in it seemed to have slight trouble seating properly to be noise-free. After some finessing the cable seemed to be happy and the noise dissapearred. I was initially struck by how quiet the noise floor was on the mic. When A/B 'ing back and forth with my Rode NKT tube mic it was instantly apparent that the CU-29 was immediately the higher end mic before even doing any vocal tests at all. Continuing with the A/B testing I found the CU-29 to have excellent control all on its own with plosives. Whereas the NTK is virtually impossible to use on close to medium range vocals without a pop screen the CU-29 could nearly get away without at medium range to close range with some c are. Siblant letter had a nice crispness without being overly harsh. In vocal singing tests I found the overall balance of the Telefunken to be quite neutral. My voice sounded very much like I would expect it to sound without any extras. Whereas some tube based mics in the project studio category tend to lean their response curves towards introducing some cut or character the CU-29 gives exactly what you would expect from a mic which costs upwards of $1300. It sounds expensive and I would wager with the addition of a high-end preamp would sound even better. The highs had a smooth touch of airiness that led to a nice touch of shimmer. Low-end was non-accentuated sounding quite natural. Even at close range I did not find much proximity effect present. In moving onto some lines involving some belty mid-range vocals quickly dimish ing to soft whisper-like the word control accurately sums up how the Copperhead performs. It's a sensitive enough mic that you don't have to feed it a ton of gain before there's more than enough to handle whatever is thrown at it without blowing things out of the water. 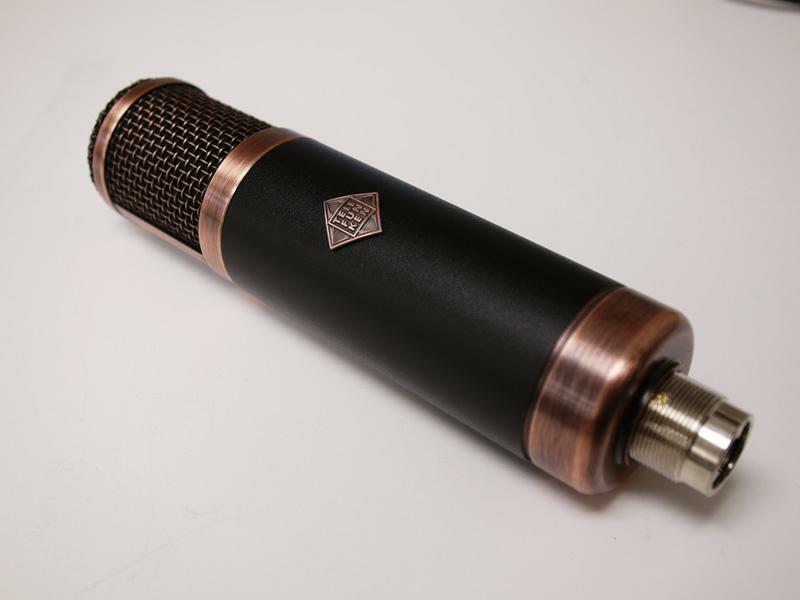 The Telefunken Elektroakustik CU-29 Copperhead represents what is on the high end of studio and low end of expensive high-end mics. It would fill both rolls well. Put a quality pre-amp behind it and your results will sound even better. Let's face it you probably wouldn't buy a $4,000 mic only to run it directly into your DAW. Same principle applies here but for less overall outlay. My advice: If you've got the money to burn and you're in the market don't rule the CU-29 out. It's living up the Telefunken name and in my opinion worth a listen. * This product review is a courtesy of The Modern Vocalist World and is endorsed by The Vocalist Studio International.